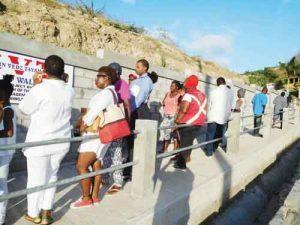 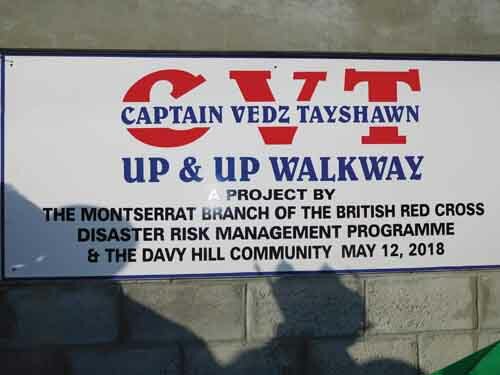 Davy Hill Community Sidewalk and Pedestrian Disaster Risk Reduction Project was born out of funding from the British Red Cross to carry out Phase II and III of the Disaster Risk Management programme that started in the year 2011. 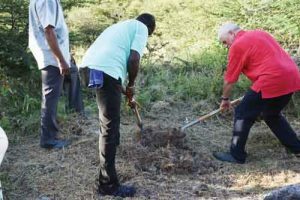 Consultations for this particular project out of a master project called ‘Davy Hill Community Safer Roads Project’ began in 2015 and soil turned to mark the beginning of its construction on May 28, 2018. 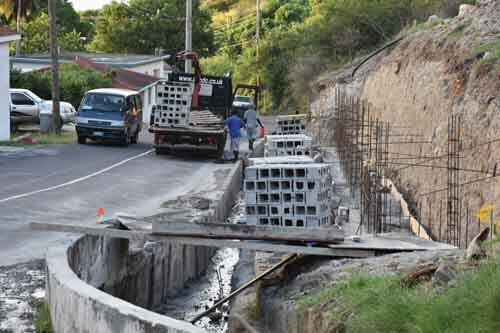 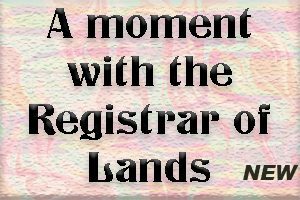 The project which began at $65,000 with the BRC Montserrat Branch sponsorship having brought on board community members via various means through a process known as Vulnerability and Capacity Assessment otherwise known as VCA. 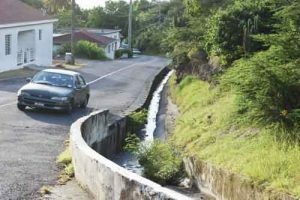 Then the Public Works Department and the Physical Planning Unit from the respective Ministries and later when with their involvement and required changes, the involvement of the Government’s Volcano Relief Fund to support a project of an eventual total cost of $150,424.26. 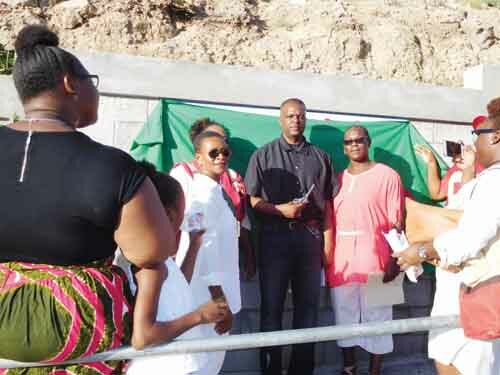 The ceremony involved opening prayers by Pastor Kellar McFarlane of the Davy Hill Wesleyan Holiness Church; Welcome by Anne Thomas, President Davy Hill Community Action Group (DHCAG); Project Background by Bettrice Jones, Director (Ag)~Montserrat Branch of the British Red Cross; followed by brief remarks from the following: Speaker of the House~Honorable Shirely Osborne ( Volcano Relief Fund); Minister of Communication, Works and Labour ~ Honorable Paul Lewis, Royal Montserrat Police Service: Steve Foster ~Commissioner of Police,Physical Planning Unit: Jerome Meade~ Chief Physical Planner, and Davy Hill Community, Emile Duberry ~Vice President Davy Hill Community Action Group. A vote of thanks followed by celebratory refreshments, was delivered by DHCAG past president Teona Christopher. 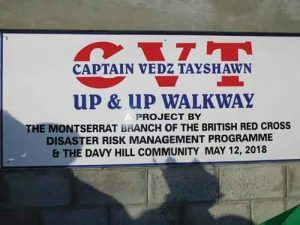 “Overall, the Montserrat Red Cross has as its aim, in the reduction of disasters to do such in and around the island by working from the community, level and collaborating with the various agencies on island thus making sure the island and its people are safe and reassured,” she added. Meanwhile in his comments on behalf of the Davy Hill Community, Vice president Emile Duberry took the opportunity to call on all Montserrat to unite and work together. 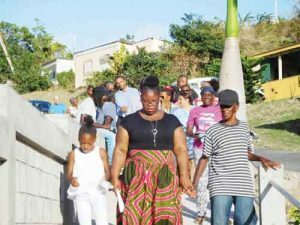 “We have to ensure that we come together, he said.